We used data and science to determine the cities in New Hampshire with the largest Asian population. Editor’s Note: We updated this article for 2019. This is our second time ranking the cities in New Hampshire with the largest Asian population. There are now over 17 million people who identify as Asian living in America, making up 5.6% of the total population. According to the most recent American Community Survey, the Asian population in New Hampshire is 33,048 – at 2.5% of the total population of New Hampshire. So, what how does the Asian population stratify across New Hampshire? Which cities and towns in New Hampshire have seen the greatest increase in their Asian population? 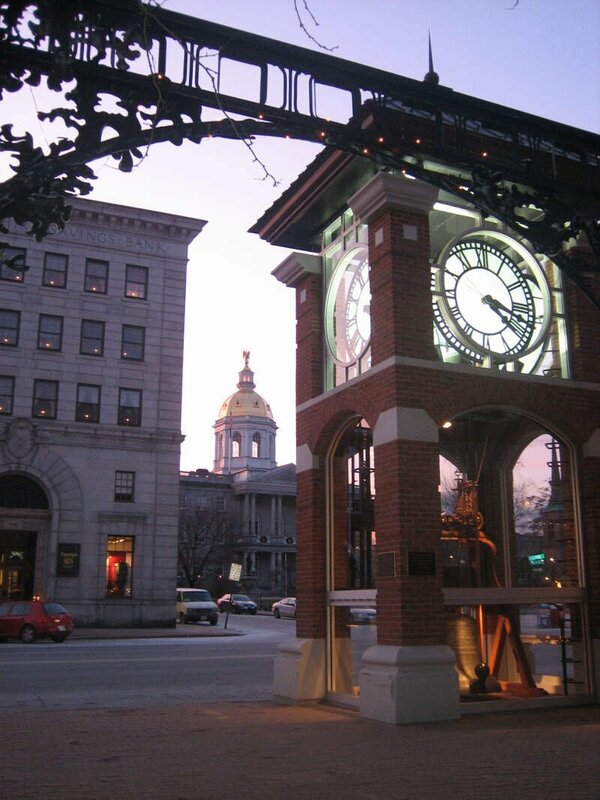 Which city in New Hampshire had the largest Asian population? Nashua took the number one over all spot for the largest Asian in New Hampshire for 2019. 7.74% of Nashua identify as Asian. To see where New Hampshire ranked as a state on diversity, we have a ranking of the most diverse states in America. And if you already knew these places were Asian, check out the best places to live in New Hampshire or the most diverse places in New Hampshire. We still believe in the accuracy of data — especially from the census. So that’s where we went to get the breakdown of race across New Hampshire. We limited our analysis to non-CDPs with a population greater than 8,000 people. That left us with 13 cities. We then calculated the percent of residents that are Asian. The percentages ranked from 7.7% to 0.2%. Finally, we ranked each city based on the percent of Asian population with a higher score being more Asian than a lower score. Nashua took the distinction of being the most Asian, while Franklin was the least Asian city. Read on for more information on how the cities in New Hampshire ranked by population of Asian residents or, for a more general take on diversity in America, head over to our ranking of the most diverse cities in America. Nashua is a city in Hillsborough County, New Hampshire, United States. 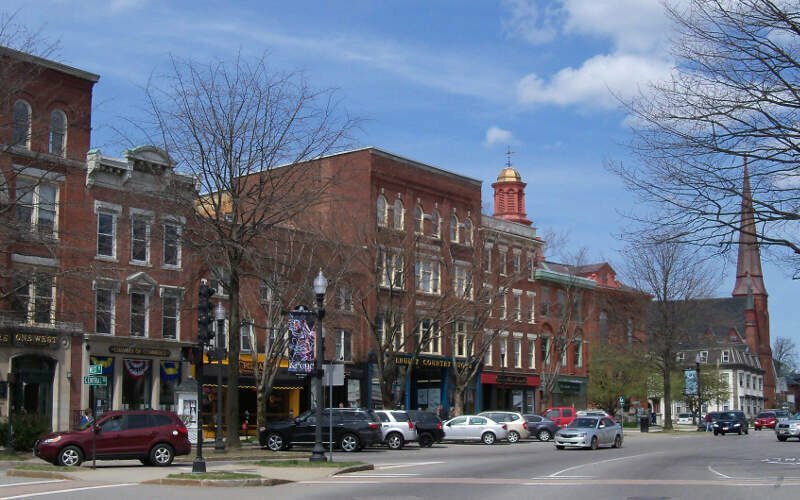 As of the 2010 census, Nashua had a total population of 86,494, making it the second-largest city in the state after Manchester. As of 2016 the population had risen to an estimated 87,882. Lebanon locally is a city in Grafton County, New Hampshire, United States. The population was 13,151 at the 2010 census and an estimated 13,513 as of 2016. Lebanon is located in western New Hampshire, south of Hanover, near the Connecticut River. It is the home to Dartmouth-Hitchcock Medical Center and Dartmouth Medical School, together comprising the largest medical facility between Boston, Massachusetts and Burlington, Vermont. Somersworth is a city in Strafford County, New Hampshire, United States. The population was 11,766 at the 2010 census. 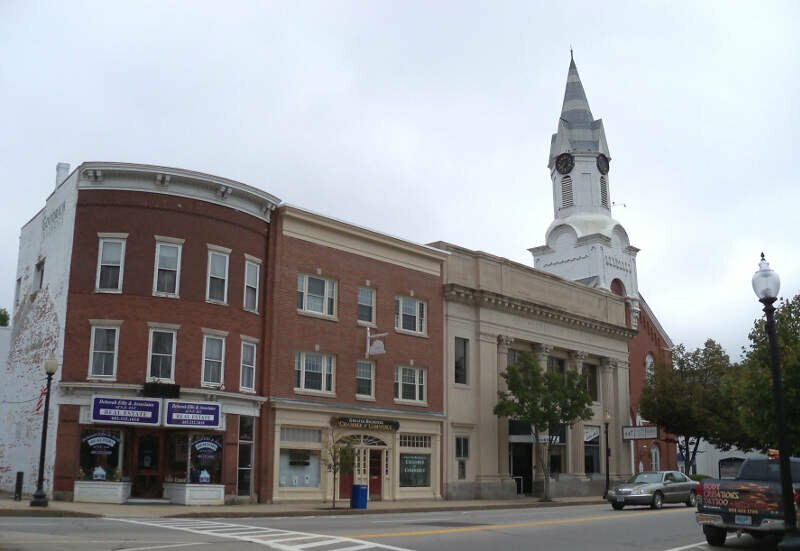 Somersworth has the smallest area and third-lowest population of New Hampshire’s 13 cities. Dover is a city in Strafford County, New Hampshire, United States. 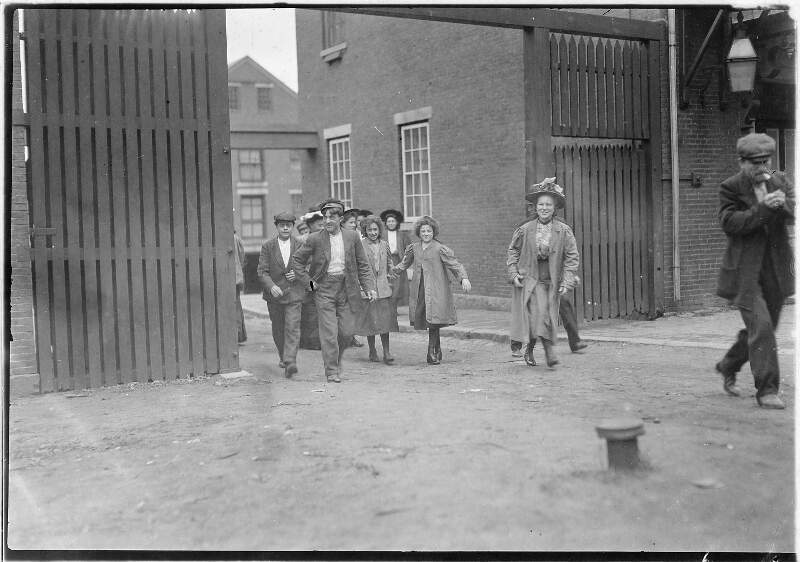 The population was 29,987 at the 2010 census, the largest in the New Hampshire Seacoast region. The population was estimated at 31,153 in 2016. 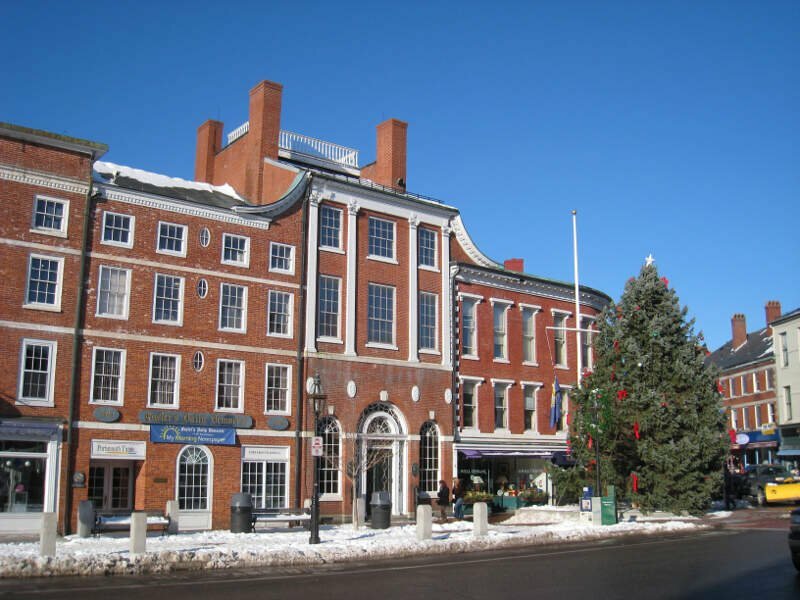 It is the county seat of Strafford County, and home to Wentworth-Douglass Hospital, the Woodman Institute Museum, and the Children’s Museum of New Hampshire. Portsmouth is a city in Rockingham County, New Hampshire, in the United States. 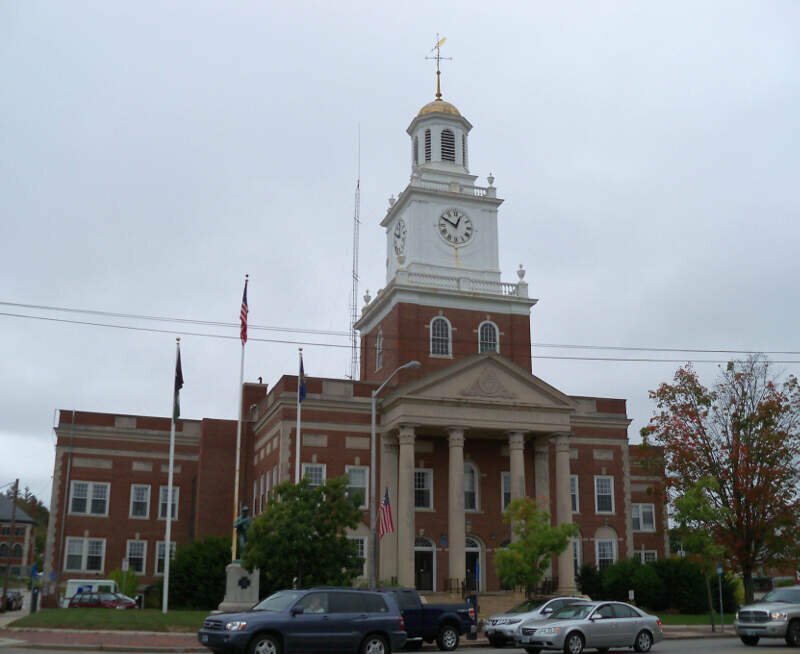 It is the only city in the county, but only the fourth-largest community, with a population of 21,233 at the 2010 census. As of 2016 the estimated population was 21,485. A historic seaport and popular summer tourist destination, Portsmouth was the home of the Strategic Air Command’s Pease Air Force Base, later converted to Portsmouth International Airport at Pease with limited commercial air service. 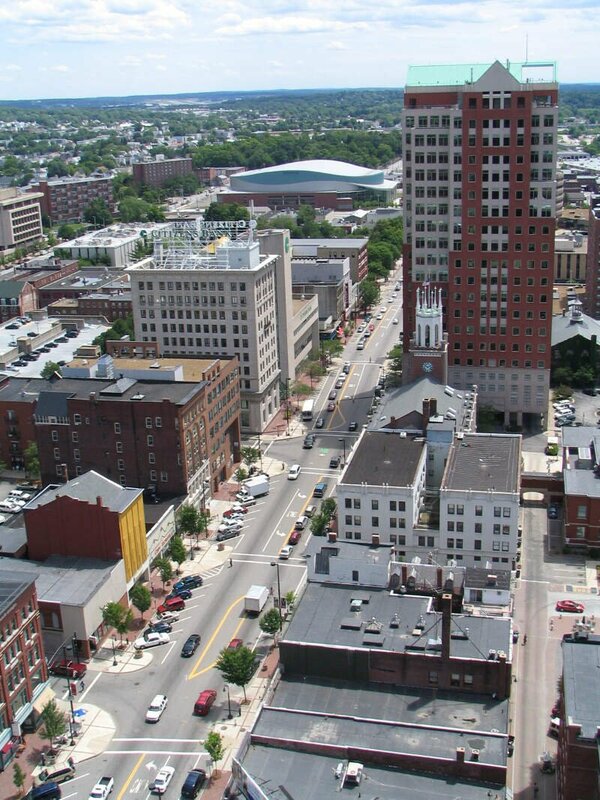 Manchester is the most populous city in the U.S. state of New Hampshire and the largest city in northern New England, an area comprising the states of Maine, New Hampshire, and Vermont. As of the 2010 census, the city had a population of 109,565, and its estimated 2016 population was 110,506. 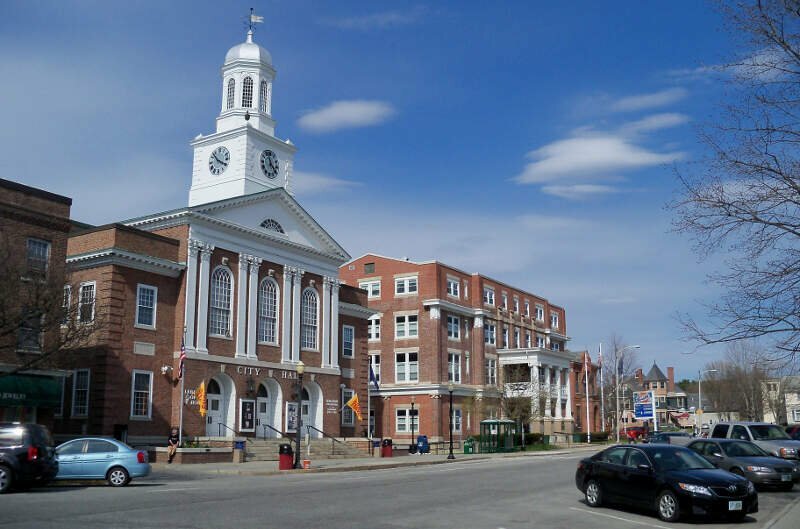 It is one of two seats of Hillsborough County, the state of New Hampshire’s most populous county. 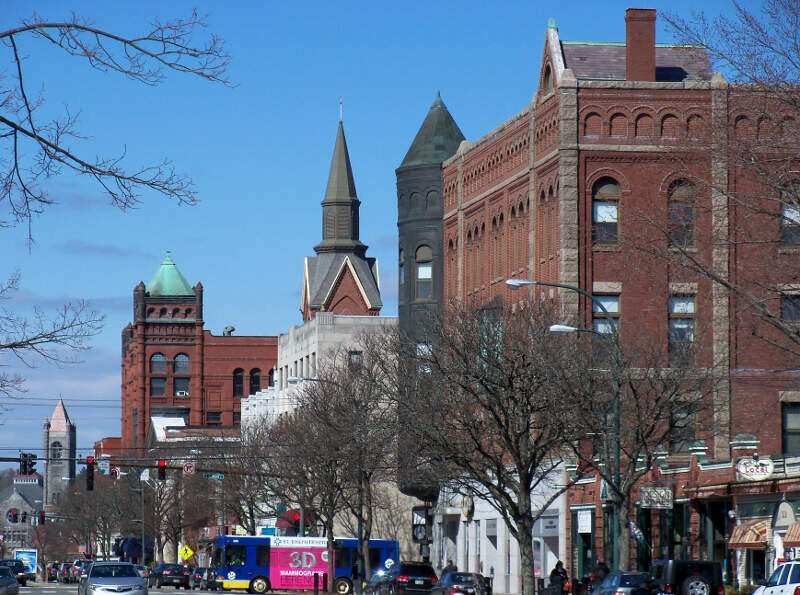 Manchester is located near the northern end of the Northeast megalopolis, along the banks of the Merrimack River-which divides the city into eastern and western sections. It was first named by the merchant and inventor Samuel Blodgett. Blodget’s vision was to create a great industrial center similar to that of the original Manchester in England, which was the world’s first industrialized city. Concord is the capital city of the U.S. state of New Hampshire and the county seat of Merrimack County. As of the 2010 census, its population was 42,695. Keene is a city in Cheshire County, New Hampshire, United States. The population was 23,409 at the 2010 census. It is the seat of Cheshire County. Laconia is a city in Belknap County, New Hampshire, United States. The population was 15,951 at the 2010 census, and an estimated 16,470 as of 2016. It is the county seat of Belknap County. Laconia, situated between Lake Winnipesaukee and Winnisquam Lake, includes the villages of Lakeport and Weirs Beach. Each June for nine days beginning on the Saturday of the weekend before Father’s Day and ending on Father’s Day, the city hosts Laconia Motorcycle Week, also more simply known as ‘bike week’, one of the country’s largest rallies, and each winter, the Laconia World Championship Sled Dog Derby. The city is also the site of the state’s annual Pumpkin Festival since 2015, having organized it after its former home of Keene rejected it due to riots in their neighborhoods in 2014. The city also includes one of the colleges of the Community College System of New Hampshire. If you’re looking for a breakdown of Asian populations across New Hampshire according to the most recent data, this is an accurate list.